Michelle Burger is on the stand again today and Barry Roux has pretty much the same line of questioning. He is trying to make it seem like the witness made false assumptions about what she heard that night. He also challenged her on her ability to hear what she heard from so far away, with Reeva being in a closed bathroom. He challenged the prosecution to do a sound test to see if it’s possible to hear the screams that far away. Mrs. Burger points out that new homes have since been built in between them so sound would not carry the same. We have yet to see if the Prosecution has done any sound testing. Another point of contention between them is that Mrs. Burger states that the last scream she heard from the woman was approximately 1 or maybe 2 seconds at the most after the last shot. She can’t say exactly when it was but it was immediately after the last shot and then faded off. Roux read a portion of the official statement detailing Reeva’s wounds and states that based on her head injury it would be impossible for her to have any cognitive function after the last gunshot therefore it would have been impossible for her to be screaming at that time. Roux and Nel exchange some words about the sequence of shots and when she was shot in the head, which will be argued at a later time in the trial. Another interesting moment between Mrs. Burger and Roux was when Roux pushed her on why a male would be yelling for help while the woman was also yelling for help, and Mrs. Burger suggests that perhaps it was “mockery” on behalf of the man. She states that Roux will need to pose that question to Oscar, only he can answer that. It was a pretty bold come back and food for thought. Both Mrs. Burger and her husband Mr. Johnson, who testified later in the day, did state that the man’s shout was more subdued than the woman’s. Mrs. Burger is again questioned about whether or not she knows what a cricket bat sounds like banging on a door. She says no but she is very sure that what she heard was gunshots. After Roux finishes with her, Gerrie Nel asks her how she would try to break down a door with a cricket bat. She says she would hit it then pull the bat backwards and swing at it again to hit, indicating that there would be some lag time in between hits. So then he asks her if in the time frame that she heard shots number 2 thru 4, does it seem feasible that the sound is comparable to somebody swinging a large bat back and forth and she answers no. Nel concludes by asking her if she properly conveyed her emotions about how traumatic the screams were that night to the investigator when he took her statement and she breaks down in tears and said yes she did. She said her emotion was very raw. Roux asks her one last time if she saw her husband’s statement while she was speaking with detective Van Aardt and she says no. Michelle Burger is then excused. The next witness up is Estelle van der Merwe. She lives in Silverwood Estates and is a neighbor of Oscar’s. She did not know him, nor had ever met him, but was aware that he lived in the house across the road. Her husband has spoken directly to Oscar in the past. She is house # 180 at the bottom of the picture. Also, here is an aerial photo of their home. Oscar’s house is circled in red. The van der Mewre home is the blue one across the street to the left (from this view.) The white balcony that is seen in the front of the house on the 2nd floor is their bedroom balcony. Mrs. van der Merwe, her husband and her child were home on the evening of February 13, 2013, and went to bed around 9pm. In the morning hours she was awakened around 1:56am by the loud voice of somebody who sounded like they were in a fight. It was a woman’s voice which lasted for about an hour. Mrs. van der Mewre was irritated by this and had to put a pillow over her head in the hopes of getting some sleep. At one point she did get up to see if she could see anything outside but did not, so she went back to bed. Below are pictures of the view from their bedroom balcony. 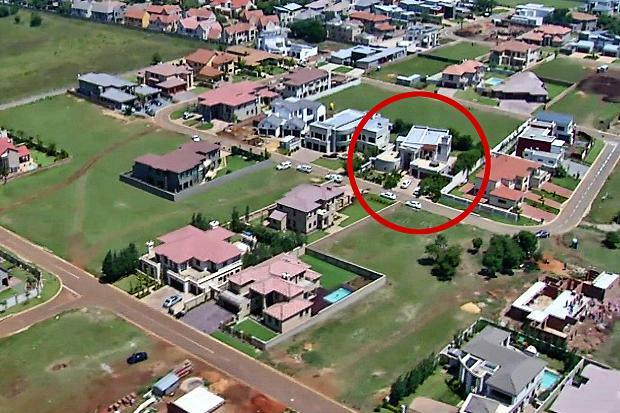 The first white home that can be seen on the left is the home of Mr. Nhlengethwa. Oscar’s house is just past that. Sometime around 3am, she heard 4 banging sounds. After these banging sounds there was total silence. She asked her husband what he thought the sounds were and he said gunshots. Her husband looked out the window but didn’t see anything so went back to bed. Shortly afterwards they heard a commotion so her husband called security. After that call, they heard somebody crying loudly. Mrs. van der Merwe thought it was the lady crying but her husband said it was Oscar crying. She later got up and saw several vehicles, including an ambulance, outside of Oscar’s house. Her husband called security the next morning to find out what happened. They told him that Oscar had shot his friend. 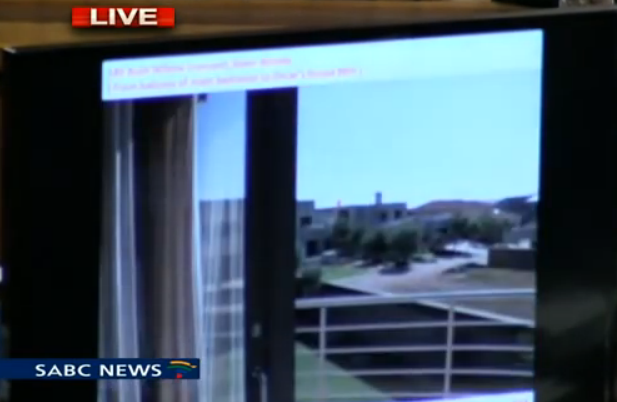 Mrs. van der Merwe also heard loud shouting voices coming from Oscar’s house on February 21st of this year. She believed it to be the voices of two males. Roux gets up to cross-examine. He explains to Mrs. van de Merwe that on February 21, 2014, they were conducting tests from Oscar’s house at 2-3am of both a man and a woman screaming to see who could hear it to prepare for trial. He only briefly covers this topic as I don’t think he expected her to testify that she heard those screams a few weeks ago, but she did. Roux tells her that Oscar’s bedroom is on the opposite side of the house that faces their balcony and there’s no way she could have properly heard what she thought she heard. Of course, it’s possible that Oscar and Reeva could have been arguing in a different part of the house, not just in the bedroom. He then questions her about the events of February 14, 2013. He asks her what the time frame was between when she last heard the female’s voice and when she heard the 4 shots. She states she can’t remember. She stated that the voice was not consistently shouting/speaking loudly for an entire hour, it was intermittent. She also could not make out what the woman was saying or in which language she was speaking. But she does reiterate that the voice sounded angry. Roux puts to her that she cannot say that she heard the female’s voice shortly before the shots and she agrees. It’s possible that the argument has now moved to the bedroom/bathroom area which is on the other side of the house. That may be why she is only hearing the arguing intermittently, because they are moving inside. We know that Reeva was shot in the bathroom so it’s possible that Mrs. van der Merwe may not have heard the final screams before the shots like Burger and Johnson did. Burger and Johnson’s bedroom faced Oscar’s bathroom area whereas the van der Mewre’s bedroom faces the front of his house. Roux also asks her if after the gunshots she said anything to her husband about the earlier voice that she thought was in an argument. She says that she did not. Roux asks her why and she says because she wasn’t sure where the voice was coming from so she didn’t say anything. She did not go to check on her son nor did she go outside afterwards to check out what happened. The incident that night frightened her and she didn’t know what to do so they just stayed in the bedroom. She says she was paralyzed with fear. 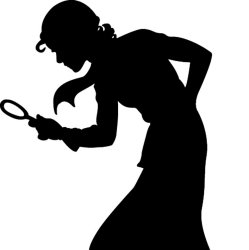 Nel does a brief reexamination and asks her how she can tell the difference between a man and woman’s voice. She states that a woman’s voice is higher pitched and a man’s voice has more bass. Nel also asks her at what point did she finally tell her husband about the angry female voice that she heard before the shots. Mrs. van der Mewre states that after she heard that Oscar shot his girlfriend, she told her husband what she heard that night. Mrs. van der Merwe concludes by saying prior to that night she had never heard a gunshot before and hearing those sounds really startled her. The witness is excused. The next witness up is Charl Johnson. He is the husband of previous witness Michelle Burger and is an IT Project Manager. In the early morning hours of February 14, 2013, he heard the screams of a woman and was awakened. He lifted his head from his pillow to make sure that he heard what he thought he heard. When he realized they were screams, he jumped out of bed and ran to the balcony. He heard more screaming from the woman who was clearly in distress. At some point he heard the woman scream “help.” He then heard a man’s voice yell “help” three times. At that point his wife said to her husband that they should call security. He came inside and they called from her cell phone where she already had a security phone number stored. He believed he was speaking to the security for the Silver Stream Estates where they lived. It was his intention to have them radio over to the Silverwood security next door to inform them that somebody was possibly being attacked in their home, possibly a home break. But it turned out that the security number they called was for security at a previous residence they lived in. His wife apparently had never programmed the new security number in to her phone. So they terminated the call. Mr. Johnson went back to the balcony after that and heard the woman screaming again. At that point the intensity and the fear in her voice escalated and it was clear that she was in danger. He then heard the gun shots. During the session of shots, he heard the lady scream again. Her last scream faded away moments after the last gunshot was fired. He believed he may have heard 5-6 shots and that is what he reported to the police. He now knows that there were only 4 shots. He states he did not count them as they happened, he estimated what he heard. He did notice a small pause after the first shot, but the remaining shots were fired in close succession. He then returned to the bedroom very alarmed. His wife said to him that she thought that woman’s husband may have just been shot in front of her. She came to that conclusion based on the screaming that they heard before and during the gunfire. He does not recall any other sounds or noises after that. Mr. Johnson and Mrs. Burger sat on their bed for a bit upset by what they had just heard. They didn’t speak much after that and then attempted to sleep a little bit more. He does recall hearing a security vehicle in the distance and assumed that somebody else over in that estate would have contacted security for help. While laying in bed, Mr. Johnson started thinking about their own security and got up at 4am to measure his doors downstairs, laid back down in bed afterwards and got up at 5am. He got to work early at 6am and researched security doors online for their home. He did ask their front security guard on the way out of the complex that morning if he knew what happened over at Silverwood the night before and was told that they were aware that something had happened but they weren’t exactly certain what it was. Mr. Johnson called a friend that morning and recited to him the same story that he is reciting in court. His friend said he would ask around to see if he could find out what happened and would call him back. Mr. Johnson then told some co-workers what had happened that evening. Afterwards, he got a call back from his friend who asked him to repeat his story, which he did. The friend then said he was hesitant to spread potential rumors but that he had heard that Oscar Pistorius had accidentally shot his girlfriend. It was difficult for Mr. Johnson to understand the story that was being told to him being that they really thought somebody was being attacked based on what they heard the night before. After that call, he went back to speak with his co-workers and relayed to them the call he just had. During that time frame, one of the co-workers saw the story on the news. Mr. Johnson then called his wife. He asked her to relay to him what she remembered, which she did. He then told her that he had heard it was Oscar Pistorius involved in the incident with his girlfriend. They were both equally surprised to hear that it was a domestic violence type incident since they really believed it was some type of house break attack based on the screams. They continued to watch coverage throughout the day and saw some aerial footage of the area on TV. 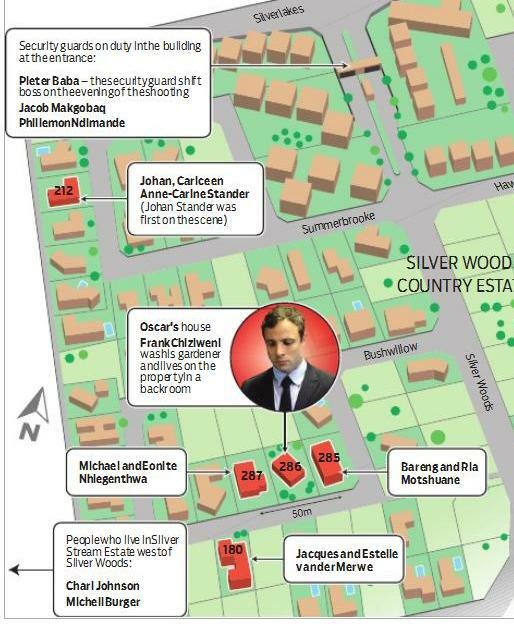 He was surprised to see how close they actually were located to where Oscar Pistorius lived. Here is an aerial view of Oscar’s home and surrounding estate area. When he got home after work he went up on to his rooftop so that he could see over the neighbor’s trees, and he was able to see Oscar’s house from there. He took a photo from there to document the distance. He then went on to Google Earth to measure the distance from his home to Oscar’s home. He also spoke to his neighbor next door to see if he had heard anything the night before. The neighbor stated that they only woke up during the last gunshot. They think they may have missed the other noises because they had a ceiling fan on in their room which created a humming noise. Nel then moved on to ask him how they came about giving a statement to the police. Mr. Johnson stated that they initially did not want to get involved. He assumed that there would be other neighbors who were much closer to the incident that would testify and they would not be needed. As more information came out in the media, they realized that there were no other witnesses nearby Oscar’s home that were coming forth. On February 19th, 2013, the day of the bail hearing, Mr. Johnson ran in to one of their neighbors who lived over in Silverwood. He asked her if she had heard anything that night. She stated no but believed it was probably because they have air conditioning and were using it that night which probably flushed out any noises. Mr. Johnson and his wife then listened to Oscar’s bail proceeding on the radio that day and heard the defense lawyer state that the only scream that came from Oscar’s house that night was from the accused. Mr. Johnson heard something different that night and felt obliged to come forward and tell his version. Because this was such a highly publicized case he and his wife did not want to go straight to the police fearing the publicity. They wanted to be quiet about it. So Mrs. Burger contacted an advocate friend who advised them to make notes of everything they each remembered. This advocate stated that he knows Mr. Nel and would contact him to provide their statements. A few days later the investigating team came to their home to speak with them. A week later, detective Van Aardt came out and they gave official statements that were used for an affidavit. Court was then adjourned for the day. Mr. Johnson will be back tomorrow for cross-examination. If I understand correctly, any screaming by a woman at any time during this incident would be damming to Oscar’s statement. If she was screaming before then it indicates some kind of altercation. If she was screaming after the gun shots then it contradicts the medical report which said that due to the gunshot wound(s), she would have been unable to speak. I would summarize, based on the testimonies so far, that Oscar’s account of the events may not be accurate. It is also hard for me to believe that the neighbors would have heard the bat hitting the door, but they did hear screaming so maybe it is possible. The sound of a gunshot can be heard for thousands of meters, though, and is a pretty distinct sound. While the bat to door argument sheds some doubt, there will need to be some evidence showing that it is audible at the distance these neighbors were from the house. I don’t see how any of this is “good day in court” for Oscar, which strangely is what the media is reporting. You are correct, the woman’s screams are a huge problem. So far 3 witness have testified that they heard a woman shouting prior to the gunshots – Michelle Burger, her husband Charl Johnson and another neighbor Mrs. van der Merwe. There is no question that Oscar killed Reeva. Really the only question at hand at this trial is whether or not he meant to. If it can be proven that a woman was screaming prior to the gunshots, then it completely negates his story. The defense is trying to destroy these witnesses, which they should. They have to. But so far, Burger and Johnson come across as very credible, in my opinion. They are intelligent, educated people with careers. They both are rock solid about what they heard that night and I can’t find any reason for them to be flat out lying. Why would they voluntarily want to get themselves in to this whole mess? The average person does not want to be part of a huge trial. There are some wackos out there that do, but these people do not come across that way at all. Roux is trying to make it look like Burger & Johnson are in collusion on their statements but it’s pretty illogical to think that a husband and wife who witnessed this event together haven’t discussed it over the past year. Of course they have. They do not deny discussing it. But they do deny sharing testimony and fabricating answers to be in unison. So far, I don’t think that Roux has made them out to be liars. Day one and day two, again in my opinion only, favored the Prosecution. I am working on day three now and will post that later tonight. The defense did bring up an interesting timeline today that I will be discussing in that post. It’s an interesting question, whether someone can scream after receiving a fatal wound, especially to the brain. Apparently there was still a heartbeat after the head wound and it seems she “technically” died somewhere on the stairs or on the ground floor. I tend to believe that screaming is instinctual, primal, and can happen without conscious thought for a brief moment. Just to say here, imo, a woman screaming in terror would scream at a very high pitch, that a man or even another woman who was not screaming in fear, could replicate. 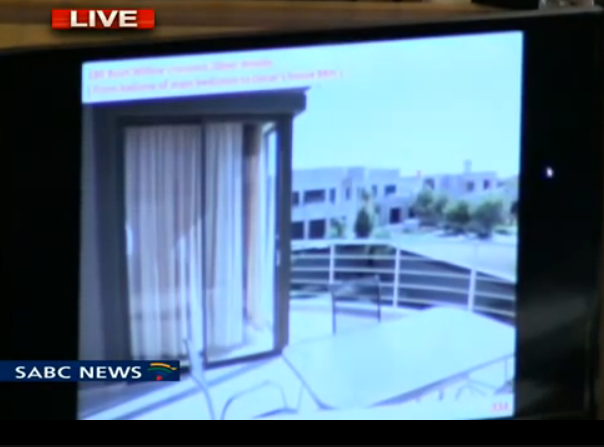 The final scream after the gunshot may have been the remains of Reeva’s final scream with her final breath. As her brains were blown out of her body, it is doubtful she continued breathing.